This panel considers the trajectory of Sociology at Cambridge from its early years to the present moment, as well as where it is likely and should be heading in facing urgent social problems. The panel will begin with a historical overview provided by John Thompson, who has been around the longest, studying under Giddens. Then Tony Giddens will give his reflections on his time at Cambridge, followed by Jackie Scott, who will focus on issues of methodology and questions of gender. Finally Ali Meghji, one of the newest members of staff at the department will give his perspective on the location of the department and where it might head in the future. This panel addresses and problematises a phenomenon that is located at the very epicentre of the discipline of sociology, namely inequality. The panel draws on and showcases the expertise in the Sociology Department across different domains of research and levels of seniority. What led you to study inequality and what difference does a sociological perspective make to the study of inequality? What kind of inequality do you study and how does it intersect with other kinds of inequality? What key concepts have been driving your work? What are the main challenges that come with being a sociologist of inequality? Do you have any advice for fellow sociologists? In your experience, how has the study of inequality changed over time and where is it going? This will be followed by a collective discussion, where audience members and panellists alike are encouraged to pose questions and engage in constructive debate. We hope that everyone attending this panel, by virtue of being exposed to a variety of perspectives, will leave with an enriched understanding of different kinds of inequality, the methods that can be deployed to study these sociologically, and attendant challenges – be they scholarly, civic, or political. Dr Brendan Burchell: inequalities in the labour market. Nathalie Holloway: mixed race identity and the reproduction of whiteness. Asiya Islam: the gendered politics of class formation. Emeritus Professor Christel Lane: economic and political sociology of global inequality. Kathryn Medien: racism, reproduction, anti-colonialism, and feminism. Emeritus Professor Göran Therborn: a global sociology of inequalities and their intersection(s). Senhu Wang: race, migration, and inequality. Panel moderator: Dr Jeff Miley. Panel organizers: Elias Nosrati, Dr Marcin Smietana, Shuting Xia. This panel addresses the historical antecedents, contemporary characteristics, and future trajectories of a political economic landscape characterised by processes of neoliberalism and financialisation. Panellists explore the conceptual arsenal available for understanding changing political economies, and highlight the consequences of the increasing weight of finance on the workings of the economy, the work force, higher education and party politics. The causes and consequences of the 2007-8 Global Financial Crisis (GFC) have been widely identified as failures of neoliberal policy making, yet neoliberal ideas still dominate the political economy of Britain, the US, and other states. Nonetheless, although neoliberalism is evoked frequently in critical analyses, the term has been criticised for being concept-stretched. As a result, there is a lack of academic consensus on its exact meaning, not to mention how it links with finance-led regimes of accumulation. How can we conceptualise neoliberalism and financialisation, and how have these conceptualisations altered since their inception. What are the main defining characteristics of the current political economic system? How has the neoliberal regime, with its focus on ever-expanding markets, impacted upon different sectors of the economy and its actors? Can financialisation be considered a distinct set of economic ideas from those of neoliberalism? How relevant is the 2007-8 Global Financial Crisis for understanding today´s economy, and why do finance-led accumulation regimes continue to dominate? How can studies of neoliberalism and/or financialisation help us understand changing institutional forms (i.e. pension funds, higher education, personal credit, etc.) and recent political mobilisation (i.e. the rise of populism)? What form is the political economic sphere taking, and what are its future trajectories? Dr Stuart Hogarth: Is biotechnology a neoliberal science? This panel focusses around the question of what decolonising sociology means; attending to the historical ‘colonisation’ of sociology, as well as how thinkers, systems of thought, topics of study, and geographical areas have historically and presently been excluded from sociology’s canon and periphery. Students around the world are now questioning what has been at the essence of academia for the past centuries. Why is my professor white? Why is my curriculum Eurocentric? Why do my topics of study rarely cover issues of race, ethnicity, and racism? Engaging with these questions has opened Pandora’s Box, where all the answers lead to the requirement to decolonise the academy. But what does decolonising mean? What does decolonisation involve? What is decolonisation for? This panel considers decolonisation in the context of sociology. Dr Manali Desai, Reader, Department of Sociology, University of Cambridge. Dr Desai will be the Chair of the Decolonising Sociology working group in 2018/19, and was previously a co-convenor of the CRASSH group ‘Decolonising the Curriculum’. Tanisha Spratt, PhD Candidate, Department of Sociology, University of Cambridge. Tanisha Spratt has been a member of the Decolonising Sociology working group since its creation. Tanisha has been involved in constructing the decolonising workshops that are due to become mandatory to members of our Department. Tanisha is also a member of the new CRASSH group ‘International Black Radicalism’. Linzhi Zhang, PhD Candidate, Department of Sociology, University of Cambridge. Linzhi has recently submitted her doctoral dissertation titled Contemporary Art and the Exhibitionary System: China as a Case Study. Driven by her passion for sociology and art, she endeavours to build social theories based upon empirical studies of non-western societies. Jun Pang, MSc candidate, Forced Migration Studies, University of Oxford (2018 HSPS graduate). Jun Pang recently graduated from HSPS, and has been active in the Decolonising Sociology, and Decolonise Cambridge working groups, as well as initiatives rolled out by CUSU BAME. Jun played a very large role in spreading support for decolonisation among the undergraduates during their time at Cambridge, and we ought to recognise the role undergraduates have played in giving momentum to this movement. Asiya Islam (Moderator), PhD Candidate, Department of Sociology, University of Cambridge. Asiya Islam is a new member of the Decolonising Sociology working group, and has a firm interest in the (de)colonial roots and uses of sociology. Asiya will work to engage the panellists in critical dialogue with one another. 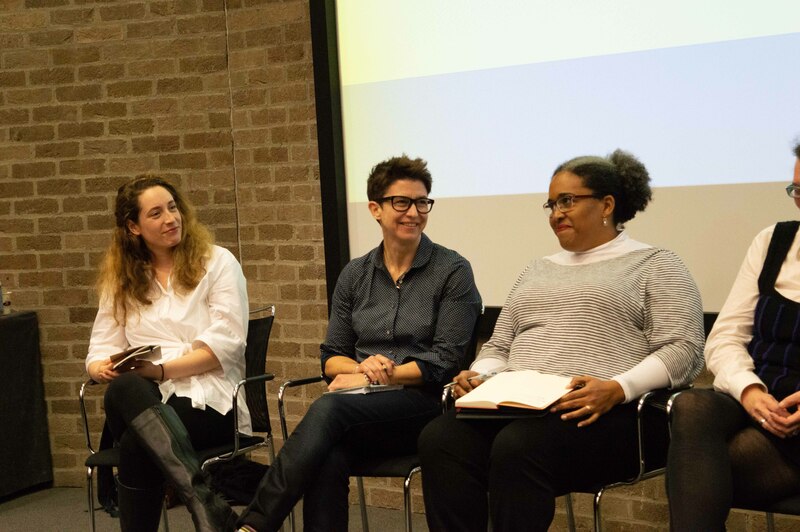 This panel engages with work being conducted by members and former members of the Sociology community at Cambridge to change institutions – from the outside in as well as from the inside out. What is the relationship between your being a sociologist and your institutional change work? Is it a help or hindrance? How have you done this work? How do you take care of yourself/others in doing this work? What is one tipping point in the movement of change and how did this happen? Tanisha Spratt (Chair) PhD Candidate, Department of Sociology, University of Cambridge. Professor Sarah Franklin, Head of Department of Sociology, University of Cambridge. Isabel Guenette, Product Lead at The Whistle, a digital human rights reporting app. Karin Haack, member of the Department of Sociology Green Initiative team. Dr Monica Moreno Figueroa, Senior Lecturer, Department of Sociology, University of Cambridge. Dr Tiffany Page, Lecturer, Department of Sociology. This panel was not recorded but there are photos available to view in the gallery.